Now that it’s colder and darker outside, there are few things that can get me out of bed in the morning – at least willingly! Porridge is one of them though. It’s a warm, comforting hug for your insides, and sets you up up to face the day ahead. 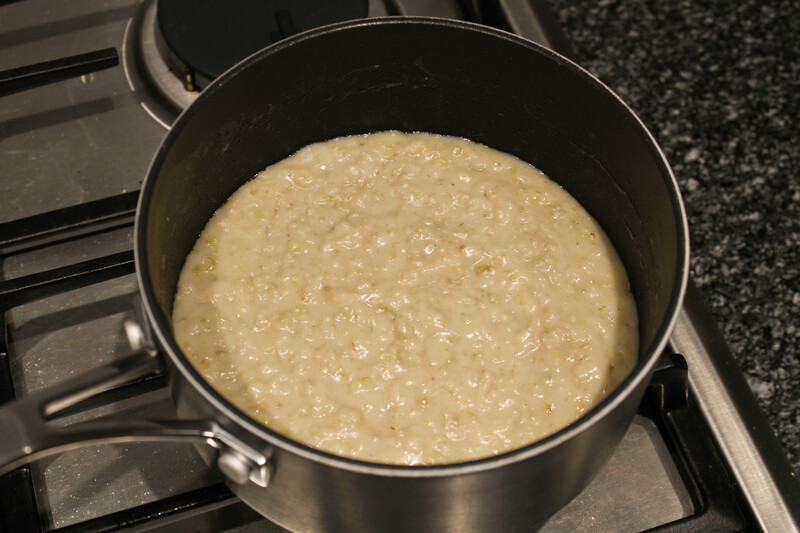 Soaking the oats overnight means that it takes under five minutes the next morning for breakfast to be cooked and ready to eat. This recipe is also vegan, and can easily be made gluten-free by using gluten-free oats – so it’s perfect for everyone. 1. Put the oats and water into a small saucepan. Put on the lid and leave to soak – overnight if you can, or for at least 20 minutes if you’re less organised! 2. Add the nut milk and coconut oil and stir. Bring to the boil, then turn down the heat and simmer for 3-4 minutes until thickened. That’s all there is to it! 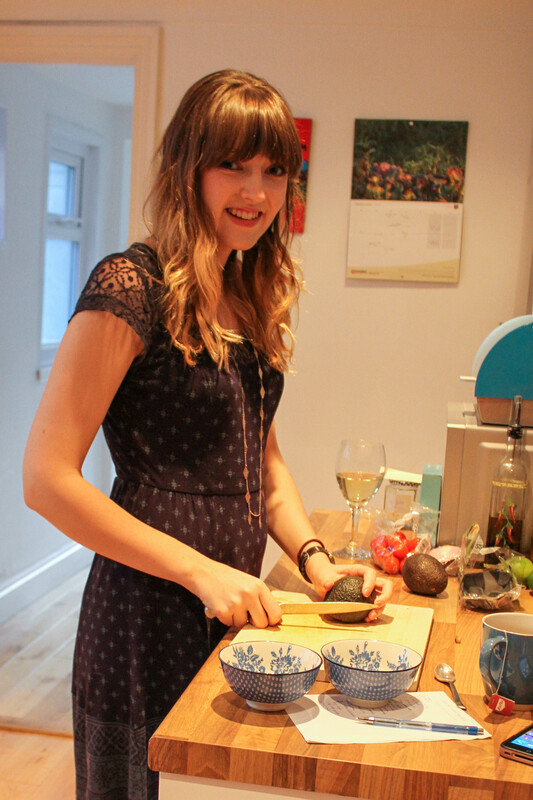 I usually add a tablespoon of mixed seeds, and often desiccated coconut or chia seeds too. You can top your porridge with whatever fruit, nuts and seeds you have to hand – berries are great when they’re in season. Below are three great ideas for flavour combinations – do let me know in the comments if you have any favourites of your own! Stir a handful of sultanas through your porridge along with 1 tbsp toasted flaked almonds. Top with 1 tbsp plum jam and more flaked almonds. 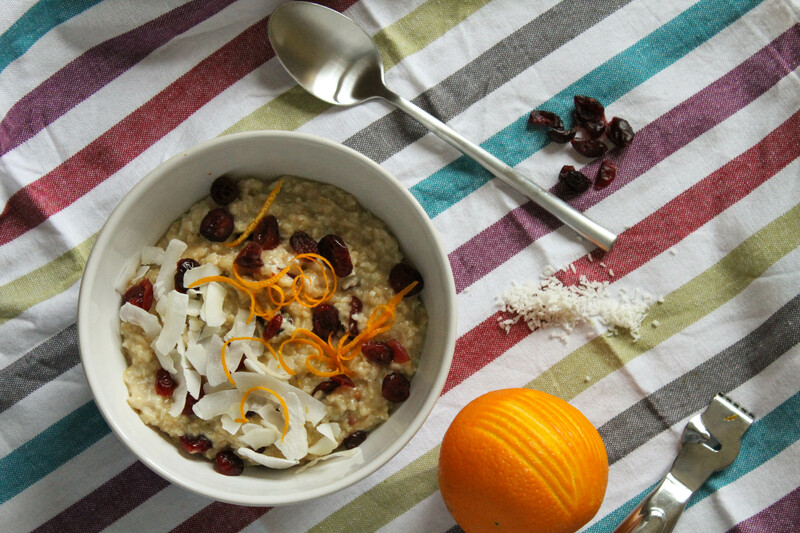 While the oats are soaking for the porridge, put 40g dried cranberries in a small bowl. Add the juice of half an orange, then microwave for 30 seconds. Cover and leave to soak for at least 20 minutes, or overnight. 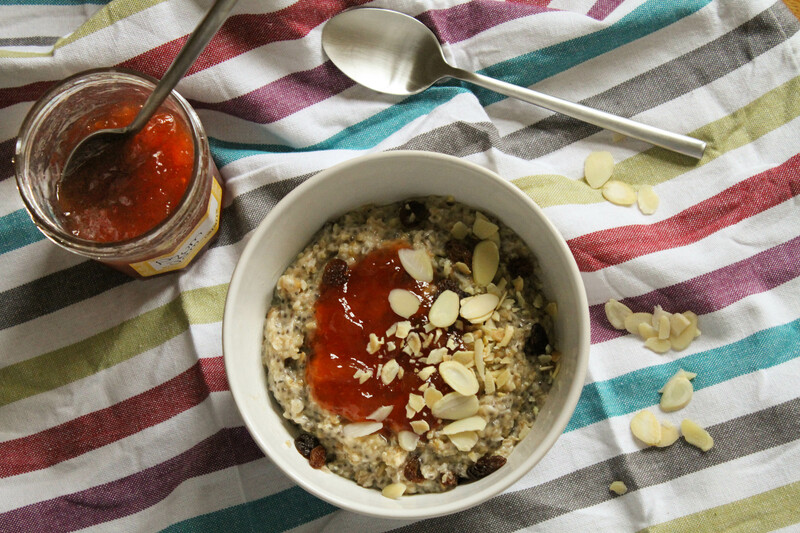 Stir most of the cranberries through the porridge, along with 1 tbsp desiccated coconut. Top with the rest of the cranberries, some coconut flakes and a sprinkle of orange zest. Wash a handful of blackberries and chop into smaller pieces if they’re large. Roughly chop 1 tbsp pistachio nuts. 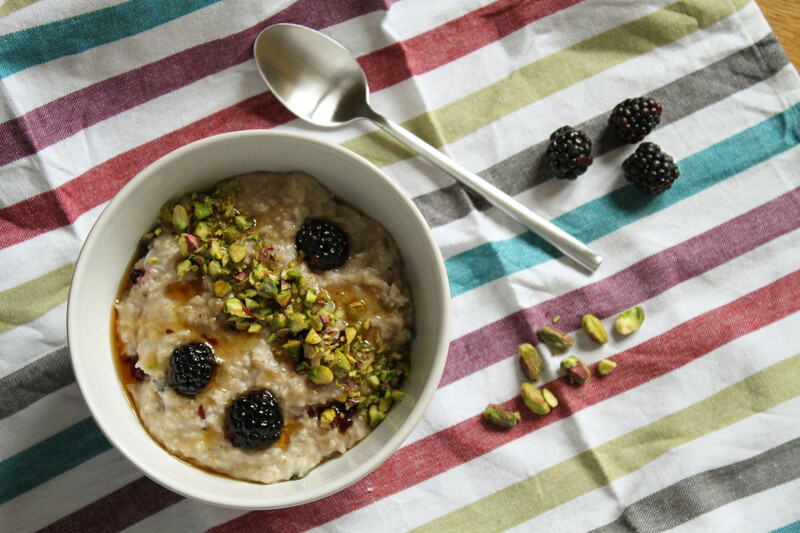 Stir most of the blackberries and pistachios through the porridge, then top with the rest. Drizzle over about 1 tbsp maple syrup to finish.